Pippa Latour Doyle, who worked as a wireless operator to Claude de Baissac's SCIENTIST network across Normandy in 1944, has been made a Chevalier of the Legion d'Honneur. A relative of Dutch SOE agent Han Jordaan is searching for a British family who knew him during his training in Preston, Lancashire (presumably during his wireless operator scheme in the area). 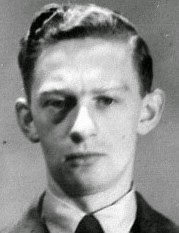 Having lived in Manchester at the beginning of the war, the twenty-three-year-old Jordaan was parachuted into Holland and arrested in May 1942, becoming one of the first victims of the Abwehr's Nordpol operations. He died in Mauthausen concentration camp three years later, just before its liberation. 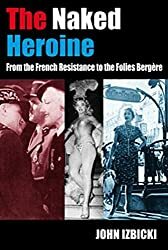 John Izbicki's 1963 book The Naked Heroine: From the French Resistance to the Folies Bergère (see my previous post on the extraordinary Lydia de Korczak Lipski) has just been republished by Umbria Press. It's available on Amazon here. Forty fashion artworks by F Section's Brian Stonehouse, many of them for Vogue magazine during the 1950s, will go on sale at Abbott and Holder , opposite the British Museum. An interesting article on senior air liaison officer Sydney Wigginton OBE, who was killed in a plane crash in September 1945, just a week before he was due to return home. The Irish College in Paris unveiled a memorial to 50 Irish resisters yesterday, which commemorates wireless operator Paddy O'Sullivan, who served with Percy Mayer's Fireman network in the Limoges area; and playwright Samuel Beckett, who worked for the Gloria SMH intelligence network, which had links to SOE's F Section. ‐ or F ‐ Section is now well known. Atkins' meticulous detective work, which continued long after SOE was officially snuffed out in 1946, eventually revealed how most of those captured by the Germans had been deported to concentration camps, and through interviews with former prisoners and captors she obtained disturbing evidence about the manner of their deaths. Not all cases were solved, however. Many question marks linger, and although 104 F Section casualties are commemorated by the monument at Valençay, the truth of how, when and where many of them died remains unknown. Atkins' investigations depended greatly on eyewitness reports, which began to trickle out as Germany collapsed in the spring of 1945. Initially the prospects for locating agents who'd been deported together in groups looked relatively good. A contingent of British or French parachutists arriving at a concentration camp often attracted the attention of other prisoners, and might lodge in the memory of a kapo, SS guard or officer on duty. 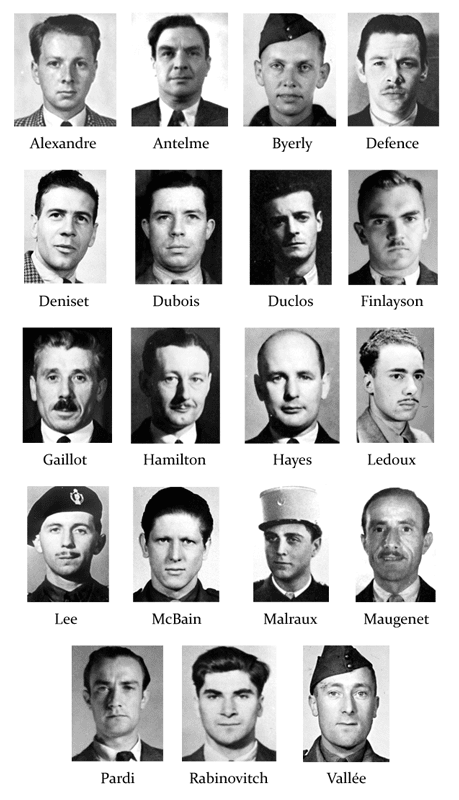 And agents who managed to escape or survive beyond liberation often submitted remarkably dispassionate and thorough accounts ‐ a testament to their resourcefulness under pressure, and to the work of their SOE instructors ‐ of what had happened to their comrades. By contrast, lone prisoners could very easily be swallowed up by the system and forgotten, leaving no footprint behind. Take the case of Ted Coppin, a taciturn, mature‐looking 26‐year‐old recruited in 1941. Having run his family's yachting business in Cannes before the war, his local knowledge and fluent Marseillaise French made him a promising if inconspicuous student ('not a high flyer', an instructor noted, 'just a good sound average type who puts his back into a job'), and after returning to the Riviera in June 1942 Coppin quietly built up his own network of railway workers to sabotage the train lines between Marseille and Nice. In April 1943, news broke of a wave of arrests across the region, in what the Gestapo coined l'affaire Flora: Coppin and his courier, Yvonne Experton, fifteen years his senior, were among the the first to be hunted down, being arrested at the Hotel Sainte‐Marie in Marseille. For two years F Section heard nothing more, then Experton returned from Ravensbrück to tell her tale. Neither did Buckmaster see Charles Skepper again. 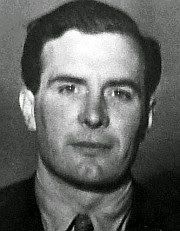 A particularly tough character who'd escaped from the Japanese earlier in the war, Skepper had taken over F Section's Marseille operations and was also classified as 'missing, believed killed' following his own arrest a year after Coppin's (rumours of his deportation from Compiègne and a supposed sighting of him in Hamburg in late 1944 couldn't be verified).4 The same went for Jack Sinclair, a hapless 22-year-old sent in from Algiers to be Skepper's new assistant: he was parachuted by mistake to an enemy-controlled landing ground and last seen in Baumettes prison. According to his French cellmate, the British agent had 'had an excellent morale', 'talked gaily' and 'slept well'. Then four or five days later the Germans came for him. Bundling up his few possessions, Sinclair was led away 'without any explanation' and disappeared.5 The fates of two others remembered at Valençay, Jean Renaud and René Mathieu, also remain undiscovered. Unlike the grisly deaths of women agents at Natzweiler, Dachau and Ravensbrück, which aroused a morbid fascination in the press and later provoked awkward questions about SOE's own conduct, these unsolved cases never made the headlines, making them all the more poignant. However, another group of around 20 F Section agents were also never satisfactorily accounted for, despite the best efforts of Atkins and British war crimes investigators to trace their final movements. Sifting through the bewilderingly complex and often contradictory evidence, the reasons why become quickly apparent. The case begins in the spring of 1944, when several dozen F Section agents were being held in prison cells across Paris. They were a very mixed bag, ranging from old campaigners to raw novices. Some had been casualties of German counter-intelligence successes during the previous summer. Others were the victims of treachery, routine police work, lax security or just bad luck. And a particularly tragic bunch had been dropped straight into German hands, the result of F Section's failure to accept that for months the Paris Sicherheitsdienst, or SD, had been impersonating captured wireless operators and effectively directing its own operations. A number had been tortured. One or two attempted to escape but were easily recaptured. In September, with Paris liberated, Rousset reappeared at F Section's new makeshift office at the Hotel Cecil. He'd been incensed by F Section's negligence during that past year, particularly in ignoring its own rules on wireless security, and made sure his feelings were known. Nevertheless, he fully cooperated during his debriefing, which provided a mass of invaluable information about the last known movements of his fellow prisoners - aside from odd fragments of intelligence sent across from France, F Section had been completely ignorant about the whereabouts of those who'd been captured. Certainly no‐one had an inkling that every agent Rousset had recalled seeing in Paris and Rawicz was now either dead or earmarked for execution. Progress in the search for these agents was infuriatingly slow. Over the following months the floods of refugees, newly freed prisoners and stateless stragglers spreading across central Europe created more uncertainty and confusion, which was only compounded by SOE's initial reluctance to add agents' names to the War Office casualty lists and distribute their details to the Red Cross and similar agencies. The liberation of Rawicz and Gross‐Rosen by Russian forces in the first months of 1945 produced no new clues (a rumour that John Hamilton had been sent east to a hospital in Odessa turned out to be a case of mistaken identity12) and the drawing of the Iron Curtain meant that all further enquiries would have to contend with formidable Soviet bureaucracy. However gruesome the events of 6 and 7 September may have been, the survival of records in the Mauthausen archives at least established their deaths beyond all doubt. It also confirmed that two more missing agents, Marcus Bloom and George Clement, had almost certainly been deported to Rawicz with Antelme in May 1944. But as one mystery was solved, another appeared. The day after the group of 47 had left for Mauthausen, another 14 prisoners also departed Rawicz - probably the remaining 11 Dutch, and three unnamed F Section prisoners. No trace of this second transport was ever found. They may have been deported to another camp, or simply driven to a quiet location and also shot 'while trying to escape'. Perhaps they were bound for Mauthausen too, but for some reason never arrived. 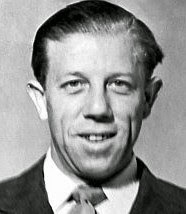 Frank McKenna, the RAF officer investigating the executions of Allied officers taking part in the Great Escape breakout from Stalag Luft III in March 1944, could only speculate that this party headed in the direction of Dresden, and was liquidated somewhere unknown.18 It's worth noting that the missing Dutch agents were left for the Dutch government to investigate, and were not pursued by SOE. 4 September ‐14 0 Departure of 14 agents to ? * Rousset stated that his group left in the early hours of 19 May, but the departure was logged on 18th. Depositions from a dozen or so former Gross‐Rosen prisoners supported Schroeder's claim, describing how these new arrivals were housed in the so-called 'weather station', a newly‐built block isolated from the others and surrounded by barbed wire. There was clearly something special about this group. They were not entered into the camp's register and were given preferential treatment, keeping their hair and their own clothes, as well as being exempted from work. But sometime in late July or early August all were called out at dawn before reveille and marched naked to a spot behind the crematorium. According to one deposition, a proclamation ‐ presumably an execution order ‐ was read out before they were shot in two groups by an SS firing squad.21 The witness described how the men were 'calm and self-possessed till the end', and gave the 'impression that they were officers'.22 Schroeder said he'd heard from another driver that one had shouted 'Long live France' before being killed.23 When the usual crematorium returns for 10 deaths were found to be missing, the doctor responsible simply removed the relevant names from the clerk's records, making it impossible to register them.24 This was an event that officially never happened. These depositions became key evidence at a war crimes trial, held at a British military court in Hamburg in September 1948. It received no coverage in the national press. Accused of the killings were Gross‐Rosen's former commandant, Johannes Hassebroek, SS Rapportführer Helmuth Eschner and SS Rottenführer Eduardas Drazdauskas, a Lithuanian (Drazdauskas was also accused of ill treating several of the officers, but was not found guilty). All had pleaded not guilty to the charges, but on 22 October all were given the death penalty. These sentences were soon commuted, however: there had been clear weaknesses in the prosecution, not least in failing to prove that Eschner and Drazdauskas had known the executions to be unlawful. In 1953 a West German court sentenced Eschner to a further 12 years for war crimes; Hassebroek was released in 1954. The defence lawyers at the 1948 trial had pounced on many discrepancies among former prisoners' statements. Nearly all witnesses said that about 10 prisoners arrived in late July, not June, and the actual date of execution was vague, though references were made to the last Sunday in July or the first Sunday in August. Some also stated that additional prisoners were brought to the camp in separate transports and executed around this time. (The Rawicz register does indicate that a further three prisoners arrived on 8 July and left the next day, so perhaps these were F Section agents being sent to join the others at Gross‐Rosen.) A number of potentially useful witnesses, including three French generals being held at the camp, were not interviewed by British war crimes investigators. Atkins had already learned the limitations of such evidence. In 1945 she had expressed her frustrations after a similar ploy failed to establish the identities of agents at another camp, commenting 'I find it extraordinary that photographs which one would imagine would be of great help in identifying people are really of so little use'26. Whatever the shortcomings of the trial, there was no doubt that executions of British officers had taken place at Gross‐Rosen, and it seems likely that the eight remaining F Section agents identified by Rousset at Rawicz (Antelme, Dubois, Alexandre, Hamilton, Maugenet, Malraux, Pardi and Hayes) were indeed among those murdered there that summer.32 As for the others, including the three who disappeared in last transport from Rawicz in September 1944, we will probably never establish who they were, or how or where they died. The only certainty we have is that Night and Fog did a terrifyingly effective job of erasing all trace of their lives. Today, the names of 19 agents (the 18 listed by Atkins, with the addition of Byerly) are displayed on the SOE memorial at Gross‐Rosen. It may well be inaccurate, but at least missing agents are being represented somewhere. Edmond Lesout and Maurice Lepage are commemorated on the Tablets of the Missing at the Ardennes American Cemetery at Neupré in Belgium. Octave Simon is not remembered at any camp. My grateful thanks go to Lucas Bruijn, who provided many useful insights and was a great help in checking my deductions. He and Ewa Pekalska did a painstakingly thorough job of following up all possible leads at archives in Poznan, Gross‐Rosen and The Hague. 1. Sarah Helm, A Life in Secrets: Vera Atkins and the Lost Agents of SOE, Little, Brown, 2005. 2. Coppin Personal File, HS 9/350/9, TNA. Coppin (under his alias 'Jean-Pierre Vidal') and Experton are listed in the German document on Flora, held in the Bouches-du-Rhône departmental archives. A translated transcript is available on Arnaud Duny-Pétré's blog. 3. London Gazette mentioned in despatches notice: ; and the CWGC entry for Coppin. 4. Skepper Personal File, HS 9/1370/1, TNA. 5. Sinclair Personal File, HS 9/1365/4, TNA. 6. Rousset's interrogation by Dutch Section, 12 September 1944, HS 7/275, TNA. 7. Note on Rousset interrogation, 29 September 1944, WO 309/2055, TNA. 8. Netherlands Section War History, p.189, HS 7/275, TNA. 9. Deposition of Horst Kopkow, 5 February 1947, WO 235/552, TNA. 10. Memo from Delaforce to Boyle, 14 September 1945, in Antelme Personal File, HS 9/44, TNA. 11. Interrogation of Rousset, 11 September 1944, Rousset Personal File, HS 9/1286/3, TNA. 12. Memo to War Office, 6 June 1946, in Hamilton Personal File, HS 9/650/6, TNA. 13. 'Liste der zugange von 6 September 1944', in WO 311/607, TNA. 14. Pistora to Pat O'Leary (real name Albert Guérisse), 4 December 1945, WO 311/607, TNA. See also the testimony of Maurice Lampe, Trial of the Major War Criminals before the International Military Tribunal, Volume 6, pp.185-186; and testimony of Jean-Frederic Veith, ibid., pp.234-35. 15. Pistora to Pat O'Leary, 4 December 1945, WO 311/607, TNA. 16. Testimony of Bernhard Slier, 17 October 1945, HS 6/743, TNA. 17. Dobias to Atkins, 11 April 1946, Vera Atkins papers, Imperial War Museum (IWM). 18. Mckenna to WO, 29 July 1946, Vera Atkins papers, IWM. 19. 'Belegungsbuch, Stammlager Haftanstalt 1942-1945', in collection 53/282/0 Zakład Karny w Rawiczu, Archiwum Panstwowe w Poznaniu. This register, which recorded SOE agents under the column heading 'Sonstige' or 'Other', corroborates the numbers and arrival dates of F Section agents given by Rousset for April and May 1944. 20. Robert Schroeder deposition, 16 July 1948, WO 235/553, TNA. 21. Deposition of Harry Richard Wolfram, 23 March 1948, WO 235/553, TNA. 23. Robert Schroeder deposition, 16 July 1948, WO 235/553, TNA. 24. Deposition of Willy Doose, 1 April 1948, WO 235/553, TNA. 25. Alexander Nicholson to Norman Mott, 8 March 1948, WO 235/553, TNA. A list of the agents is given in the affadavit of Major H E Martin, 13 August 1948,WO 235/552, TNA. 26. Atkins to Hazeldine, 31 May 1945, Brian Rafferty Personal File, HS 9/1225/2, TNA. 27. Interrogation of Pierre Culioli, 26 April 1945, Pierre Culioli Personal File, HS 9/379/8, TNA. 28. 'Resumé of Prosecutor's Closing Address', WO 235/553, TNA. An image of Malraux was probably not submitted to the court, as he'd been recruited in the field (photographs of locally recruited agents were typically not included in SOE's files). 29. Interrogation of Rousset, 11 September 1944, Rousset Personal File, HS 9/1286/3, TNA. 30. Memo dated 8 December 1945, Byerly Personal File, HS 9/251/1, TNA. In a deposition given on 19 January 1947, the Paris SD commandant Hans Kieffer contradicted this evidence, stating that Byerly was sent to Rawicz, but gave no further details (Vera Atkins papers, IWM). To further complicate matters, Byerly's file also includes an unsubstantiated claim made by a French prisoner, who said he met Byerly at Flossenbürg concentration camp in the autumn of 1944. 31. Nearly 10 days after Rousset's escape, another F Section agent, Paul Tessier, broke out of his cell at Place des Etats-Unis. Although he remained in Paris, he sent to London a list of those agents still incarcerated. The message appears to have been destroyed, but the personal files of agents concerned include notes confirming that Tessier's report cited their names (Tessier was killed in action during the liberation of Paris, before SOE could interrogate him). 32. Mott to Nicholson, 22 December 1947, WO 235/553, TNA. 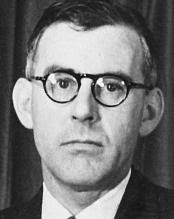 A short piece on Walter Fletcher and Operation Remorse. Bob Maloubier receives an MBE (this article in French was among the few to cover it). D-Day Battles in the Shadows, a BBC News programme on D-Day resistance. François Hollande today announced that Pierre Brossolette's ashes are to be transferred to the Panthéon. He will be accompanied by Jean Zay and, in an attempt to begin to redress the mausoleum's almost exclusively male population, two women resisters, Geneviève de Gaulle-Anthonioz and Germaine Tillion. Among the other nominees were Stéphane Hessel, Josephine Baker and Lucie Aubrac. Given that F.F.E. Yeo-Thomas ‐ famously codenamed "The White Rabbit" ‐ is one of SOE's best known agents, I was surprised that I couldn't find this letter on any website or blog, especially since it has a tenuous connection with Ian Fleming (Fleming was among a select few to read it in May 1945, after hearing about it over lunch with SOE's deputy head, Harry Sporborg). So here it is. These are “famous last words” I am afraid, but one has to face death one day or another so I will not moan and get down to brass tacks. I will not attempt to make a report on my journey except to say that up to the very moment of my arrest it had been a success and I had got things cracking and woken up a number of slumberers. I was quite pleased with things - I took every precaution and neglected nothing - my capture was due to one of those incidents one cannot provide for - I had so much work that I was overwhelmed so I asked PIC to provide me with a sure dependable agent de liaison, and he gave me a young chap called Guy, whom I renamed Antonin. He worked for me for a week, and then got caught; how I do not know, but in any case, he had an appointment with me at 11 a.m. on Tuesday 21st March at the Metro Passy and brought the Gestapo with him. He was obviously unable to withstand bullying and very quickly gave in to questioning. I was caught coming round a corner and had not an earthly chance, being collared and handcuffed before I could say “knife”. I was badly beaten up in the car on the way to Gestapo H.Q., arriving there with a twisted nose and a head about twice its normal size. I was then subjected to four days continuous grilling, being beaten up and also being put into a bath of icy cold water, legs and arms chained, and held head downwards under water until almost drowned, then pulled out and asked if I had anything to say. This I underwent six times but I managed to hold out and gave nothing away. Not a single arrest was made as a sequel to my capture. The only trouble was that the party who was lodging me got arrested and will have to be compensated for losing liberty and home. The name is Mlle. Sandoe, 11 rue Claude Chahu, Paris, 16eme. Further information you can get from Mlle. Jose Dupuis, 39, rue de la Felicite, Paris, also Mme. Peyronnet, 102 Avenue des Ternes, Paris. They will be able to clear up much, in addition Paul and Raoul Simon, 32 rue Pierre Demours, Paris, can help a lot. I was interrogated for about 2 months, but dodged everything. I was offered freedom if I would hand over [Jacques] Bingen - some hopes - I nearly lost my left arm as a result of the tortures, as I got blood poisoning through my wrist being cut to the bone by chains and remaining unattended with handcuffs biting into them for about 6 days. Apart from that I was kept in solitary confinement for 4 months at Fresnes [prison]. I was very unpopular as a Britisher, and one of the German N.C.O. 's, a Feldwebel, was particularly glad at every opportunity of punching me or slapping my face. He gave me 3 weeks of glass-house in a darkened cell, without mattress, blankets, deprived of all means of washing, and with about a ½ pound of bread per day as sole food. I was pretty weak when I came out, had lost about 2½ stone in weight. I was sent to Compiègne [a transit camp for prisoners bound for Germany] on July 17th, whilst there recuperated a bit and had arranged an escape together with a chap well known to Passy and the BCRA [Free French secret service], whose name is Roberty, and got sent to Weimar on the eve of escaping. Roberty succeeded. Bad luck for me. The journey here was an eventful one, it took 8 days. The first man I ran into when being entrained was [Stéphane] Hessel of the BCRA and the second was [fellow SOE agent Desmond] Hubble. We had various adventures, all were handcuffed the whole time, 19 men in one compartment and 18 in another. We could not move being packed in like sardines. The gates of the compartments were padlocked and we had very little air, no food had been provided for. We were given 1 day’s rations which had to last 5 days, luckily some had Red Cross parcels or we would have starved. The train was bombed and machine-gunned on the way and we had a very narrow shave. Our escorts ran and left us helpless, had the train caught fire we would have burned like trapped rats. We had to stop at Saarbrücken for 3 days in a punishment and reprisals camp, and were beaten up on arrival. As usual I seemed to attract particular attention and got well and truly slapped and cuffed. We were confined for three days and nights, 37 of us in a hut 9 feet by 7 feet by 7 feet. It was Hell. We then came on to this place Buchenwald. On the way our escorts plundered and stole practically all our effects. Never believe about German honesty, they are the biggest thieves, liars, bullies and cowards I have ever met. In addition, they delight in torturing people and gloat over it. Upon arrival which took place about midnight, we were locked up in the disinfection quarters and next morning we were nearly hanged summarily, but temporarily reprieved. We were stripped, completely shorn and dressed in prison rags, losing our few remaining belongings, and 16 of us, including Hubble, were told to report to a certain place. We never saw them again and found out that they were being hung without trial on the night of 11/12 September. They have been cremated so no trace remains of them. We are now awaiting our turn. There are 170 airmen (British and American) brought down and captured in France, but they are being treated as Terror Fliers and sleeping in the open, living under appalling conditions in violation of all conventions. They ought to be treated as POW. Men die like flies here. I sent a message to you through Geneva. I hope you received it, but have no means of telling. The bearer of this letter will give you all details so I will not say more – whatever he tells you is Gospel truth. He is no romancer, and he will never be able to really do justice to the horrors perpetrated here. Dizzy, see to it that our people never let ourselves be softened to the German people, or there will be another war in 15 years’ time and all our lives will have been sacrificed in vain. I leave it to you and others to see that retribution is fierce. It will never be fierce enough. These weren't his last words, of course. The rest of his story can be found on the Yeo-Thomas profile page. © Nigel Perrin 2009-15. Powered by Blogger.